Look what's new from The Body Shop! The Vineyard Peach range has come to shops and made me a happy chappy. See, I'm obsessed with peaches. I have a peach yogurt every day at breakfast, have countless peachy lipsticks and not to mention peachy blushes, so it's only fitting that I smell like a peach! 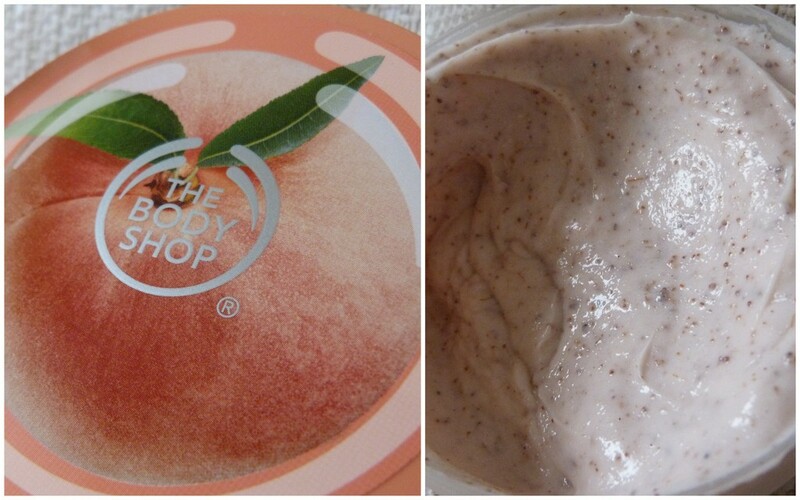 These arrived from The Body Shop recently and since then, I've been drowning myself in both the Vineyard Peach Body Scrub (€18.95) and Body Lotion (€13.50). I do smell mighty fine if I do say so myself. The scrub is thick, luxurious and is abrasive enough to get rid of all your dead skin cells thanks to the ground up peach seeds and gentle enough so as not to leave you raw thanks to the soya oil and babassu oil. No, your skin is left soft and smooth and smelling peachy. This smells exactly like my yogurt and I have to fight not to have a little weeny taste when I go to use it. The body lotion is light, refreshing and an absolute dream to use. It's amazing how a little pump dispenser makes me happy. 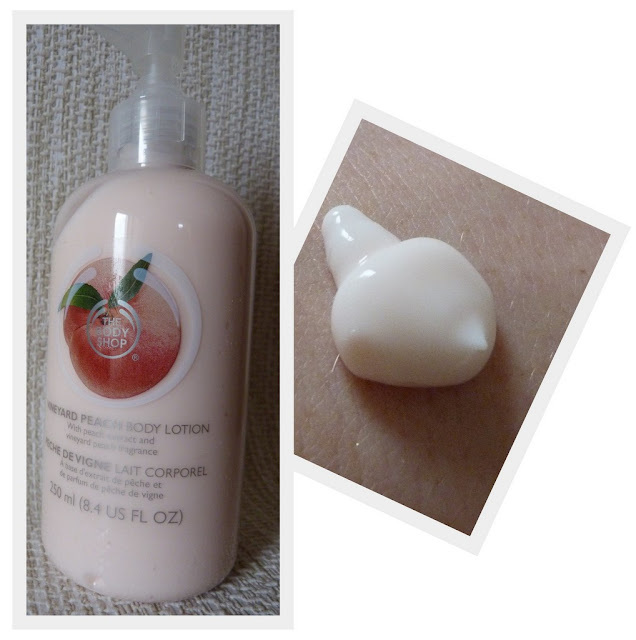 The peachy lotion absorbs into my skin and I can get dressed right away. I like using this lotion in the morning rather than a body butter. They're my night time treat! Along with the scrub and lotion comes a shower gel and body butter, so get yourself into The Body Shop to have a sniff. It's a gorgeous limited edition range so go in and get the scent of summer on your body! Oh Holy, I NEED these! My first ever daliance with The Body Shop was Fuzzy Peach and I've been obsessed with all things peachy ever since. Boo for smellovision not being invented yet!